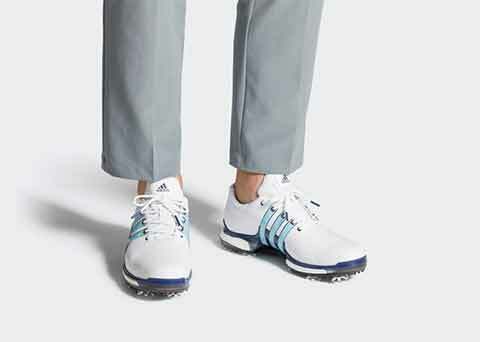 adidas athlete Dustin Johnson, former world’s number one golfer, as well as thousands of amateur and professional golfers around the world are starting to recognize the difference a well-designed shoe can make to their performance and their enjoyment of the game. We’re proud to be part of their story. Torsion Tunnel for flexibility, control and enhanced arch support; and CenTraxion, their proprietary outsole design. When adidas was making their updates to the original Adi Tour 360 Boost they paid particular attention to improving the insole. This is in no small part due to Sheehan Sales etc.® material. Our etc. textiles serve as the face fabric on the insole for its friction-reducing properties, minimizing heat and moisture build-up, thus enhancing the Boost’s comfort story. While only on the market a short time, the Boost 2.0 already has a legion of fans. A few testimonials from the Boost page of the adidas web site follow, as well as a link to the entire list of comments. BEST GOLF SHOES YOU CAN PLAY IN. HANDS-DOWN BEST GOLF SHOE ON THE MARKET. Comfort and performance unmatched. Foot is very stable inside the shoe while the grip is perfect.